Being able to make my own tea bags out of any type of loose tea to take it to go is a really nice concept. It makes it easier to remove the tea leaves when they’re done steeping, and to also make it easier to travel with as I can make the tea bags in advance. 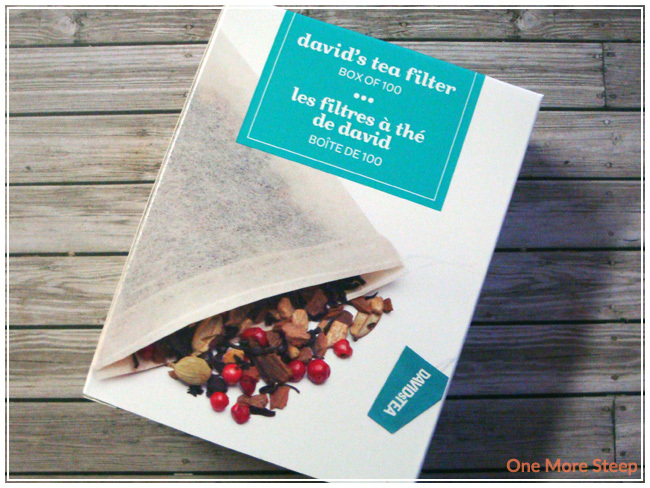 I’ve been using the DavidsTea brand of tea filters. There’s often a package of 10 filters in some tea collections, and they also come in boxes of 20 or 100. I opted for the 100 count box because it worked out cheaper ($5 for 20 or $10 for 100). The packaging mentions that the filters are “made with biodegradable, chlorine free, compostable manilla hemp”. Having it be biodegradable is important to me – I go through so much tea that it just makes sense to be able to put the entire thing into green waste when I’m done with it, rather than having to separate wet tea leaves from a filter bag. 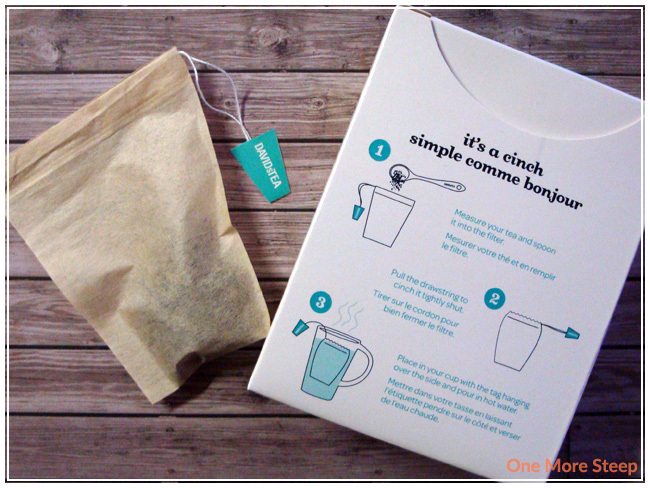 The back of the boxes show the simple 3 step process – pour tea into the bag, pull the drawstring, and then steep the tea. It’s a fairly easy process. 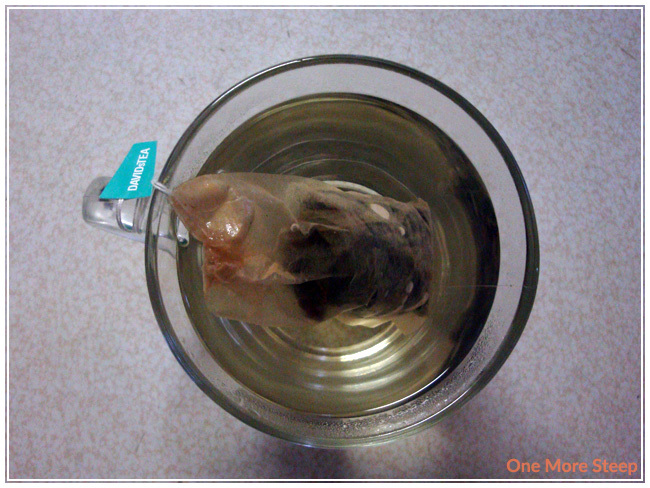 I tend to set my tea bag aside in a small dish when I’m done steeping (and I will often resteep tea leaves shortly after the cup is done), but the moisture from the wet tea leaves will wick up the bag and up the string, leaving me with a wet string to touch. I know it’s science and DavidsTea has noting to do with the law of capillary action, but it still bugs me.